Bison meat is naturally tender, full of flavor and very easy to prepare. 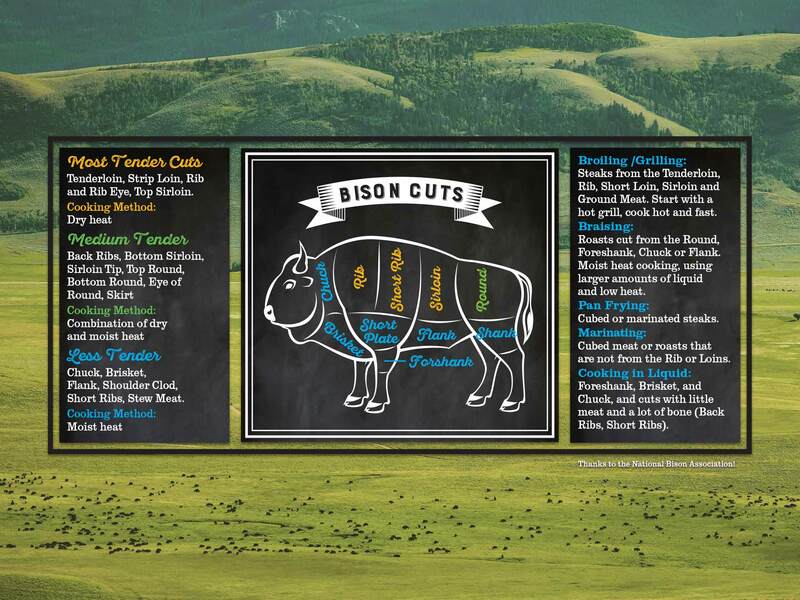 Simply substitute bison for beef in all your favorite recipes. Bison meat cooks quicker and tastes best cooked to medium, so check for doneness a little sooner than you would with beef. Let bison meat rest before slicing. When roasting, grilling or pan-searing bison, the meat tightens as it cooks, driving the juices to the surface. If you immediately cut into cooked meat, all the juicy goodness and flavor end up on your plate, not in your mouth. Instead, let bison rest for 10 – 15 minutes, covered and in a warm place.